I have always liked having my nails painted. Sad but true confession, when I was in ninth grade, I painted my nails a new color EVERY SINGLE DAY. I am not a girl who primps a lot or spends a lot of time getting ready, but I do love my nail polish. When I became a mom, it became clear to me that painting my nails was an activity of yore. It soon became a myth. Who possibly had the time to paint nails and let them fully dry before needing to attend to the needs of a child again? When I did take the time to paint, I almost always ended up with a few of them getting noticeably damaged. Then the activities of motherhood mean the polish is coming off in 1-2 days anyway. There were FAR MORE things I could think of to do with my time. 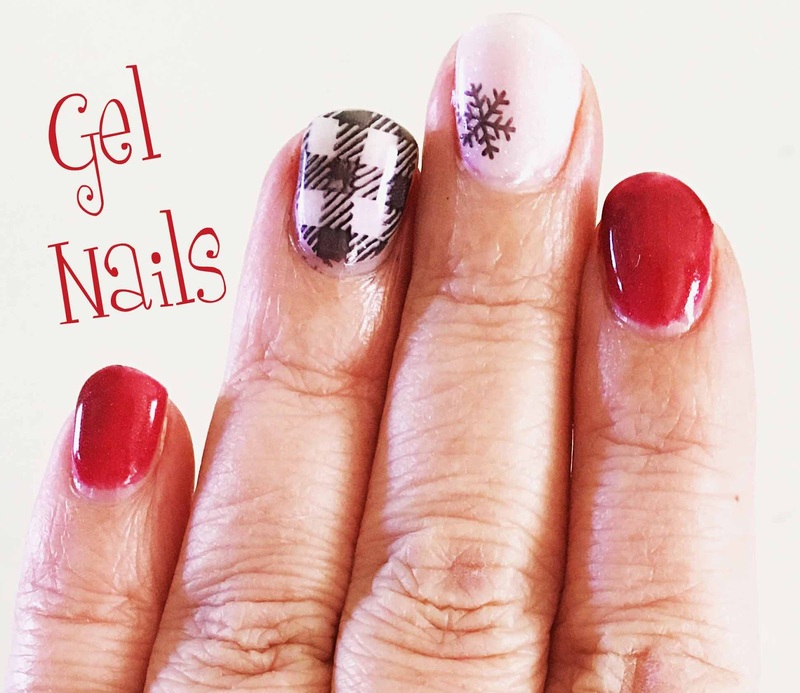 Gel polish will take you 30-60 minutes to do to yourself. When you are done, your nails will be dry. Fully dry. No smearing. When you are done, the polish will be hard. No denting. It usually lasts 2-3 weeks–even as a mom! That includes cooking, cleaning, bathing kids, washing dishes…it includes it all. It is not much longer than painting your nails with conventional polish, and when you are done, the nails are dry and kid-proof! This post contains affiliate links. This does not increase your cost. Getting a manicure can be expensive. No doubt. I had my nails done just in time to ask for my own kit for Christmas. A manicure can run you at the least $20ish dollars. The set I got can be purchased for $80 at the most. When my husband bought if for me for Christmas, it was on sale for $50 so don’t be afraid to hold out for a sale. I got the Red Carpet Manicure Pro 45 Starter Kit. It comes with everything you need and instructions that are easy to follow. It doesn’t require any more skill than you use to paint your nails. Here is the fun icing on top. 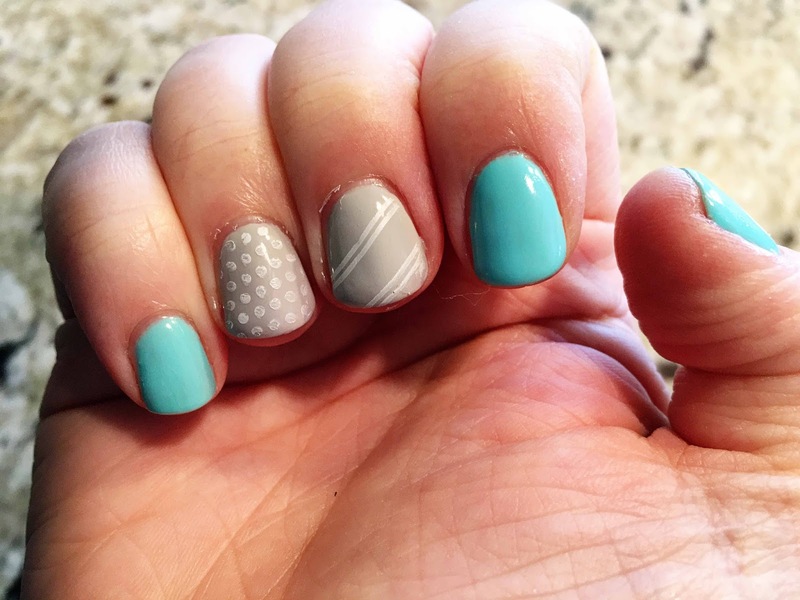 My neighbor uses Nail Stamps . My mom wanted ideas for me for Christmas, so I told her I would love some nail stamps. You use normal polish on top of your gel polish to do stamps. Then you can remove it anytime and change it out. 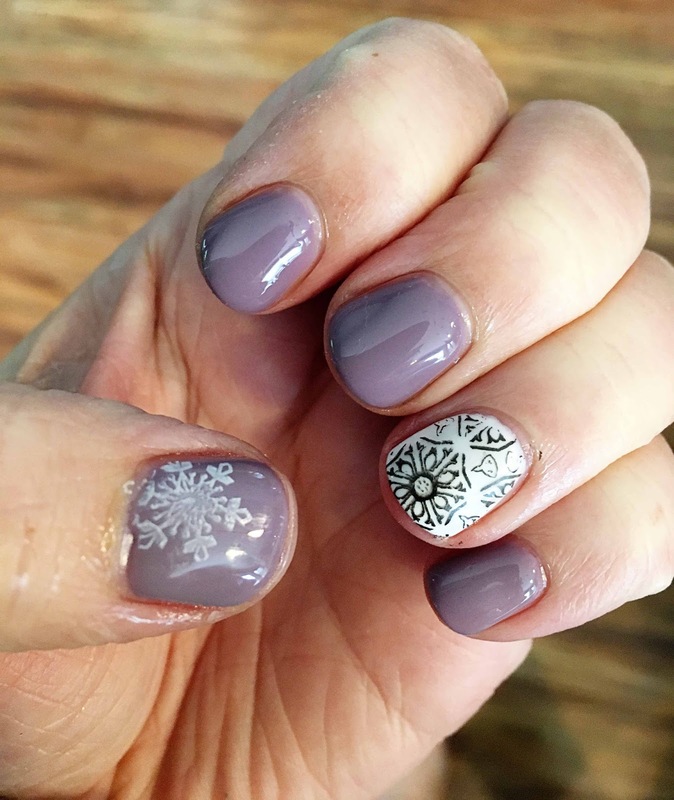 So your base gel polish can be the same for 2 weeks, but you can change your stamps if you would like to. There are tons of options out there. To get started, you will just need stamp plates and a stamper. The stamping takes some trial and error and some practice. I highly recommend gel nails if you like to have your nails painted.